DataForce offers a wide variety of fantasy football money games for you to join in our lobby, including several flavors of Dynasty Leagues. All leagues contain ten or twelve teams, so you'll be competing head-to-head each week against other owners, and all leagues share a similar set of rules for player scoring. DataForce is proud to offer the best fantasy football experience on the internet with the best prize payouts you'll find anywhere. 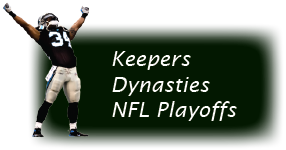 We offer six levels of contests in our Dynasty and Keeper Leagues, from $50 to $1000, and charge only a flat $12 commissioner fee for copper through silver leagues (slightly more for gold and platinum). There is a potential $6 hosting fee if your league is run on MyFantasyLeague.com, and a small regulatory fee now that we've entered the age of fantasy football regulation by several states. All other money goes into the prize fund! What Is a Keeper League? "Keeper" leagues add a new dimension to the traditional fantasy league. In this format, you may keep up to five players from year to year, so your team continues to exist for as long as the league lasts. We ask for an additional deposit when you purchase a team, equal to the entry fee for the league, and this deposit roughly represents the value of your team. The deposit remains with the team in perpetuity, so deposits are returned only if and when the league disbands. If you should one day have to leave the league, or if you just get tired of playing fantasy football, then your team becomes an orphan. We will sell your team to the highest bidder in order to keep the league alive, and instead of getting your deposit back, you get the money from the sale. Since you are able to preserve five players from your team from year to year, strategies in keeper leagues tend to be long-range. You'll want to carefully watch the rookie market each year to look for players that might become superstars. You'll want to balance putting a strong lineup on the field this year with building a team for the future. Trading in these leagues becomes much more exciting, as you can trade draft picks not only for the current year but for the following year. Each year a new draft takes place to let you replenish your team after dropping the players you decide not to keep. In the end, though, it's all about winning. The best head coach will still win the Superbowl and take home the biggest prize. 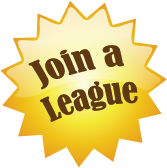 Learn more about keeper leagues here. Ready to take it to the next level? These leagues offer the chance to build a true dynasty out of your team, since there are no limits to how many players you can retain from year to year. Keep a few or keep them all, and in the annual draft, you'll choose just enough players to bring your roster back to full strength. There are a couple of other differences that make dynasty leagues a step more intense than keeper leagues. For one, your roster sizes are a little bigger, so you can hang on to a few more potential superstars. For another, you can trade future draft picks two years in advance rather than just one. Because owners in dynasty leagues tend to grow attached to their teams, and because you're typically playing against the same owners from year to year, an atmosphere of camaradarie and friendly opposition often permeates the league. Learn more about dynasty leagues here. Dynasty leagues can last forever, unless you join a legacy league. This is basically a dynasty league which ends as soon as one team manages to win two league championships. Then the league ends, and the owner of that team goes home rich. It works like this. Half of your prize fund each year goes into a purse. The other half is used to pay annual prizes. The purse continues to build each year until someone wins their second superbowl. It can take from two to thirteen years, but the longer it takes, the more money is waiting for someone to take it all. Learn more about legacy leagues here. These leagues have a little different flavor. To begin with, they always begin with an auction rather than a draft. Everybody gets $500 to spend. In this way, each player on each team is assigned a salary equal to the amount paid at auction. You may not carry player salaries totaling more than $200 on your team. If you drop a player and bid on a new player during waiver wire processing, you may not bid more than the available salary cap room for your team. Players picked up on free agency have a salary of just $1. Salary cap leagues are multi-year leagues like dynasties, so you can choose which players to retain and which players to drop in the offseason each year. Instead of an annual draft, you'll participate in an annual auction, as you buy new players to fill out your team. Because player salaries escalate a little each year, you can't afford to keep any player forever, but this is part of the fun. Each year you must make roster decisions to stay within your cap. Learn more about salary cap leagues here. Ready now for the ultimate head coaching challenge? Try our signature format: a contract league. Like salary cap leagues, you start with a budget and your players carry salaries from year to year. But this time, you award them multi-year contracts at a set salary for up to five years in the future. Contract decisions are made in the offseason, when you'll decide which players to keep and for how long you want to put them on contract. Contracts are binding: you must continue to pay their salaries until the contracts expire, or pay a hefty penalty. Contracts may be bought and sold. In fact, if you find a contract oppressive, you may actually pay another team owner to take a player and his contract off your hands. When you trade money in this manner, it decreases the money you have available for paying salaries in the next year, so you'll have less money to spend at the annual player auction. Learn more about contract leagues here.